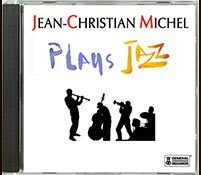 NEW CD : JEAN-CHRISTIAN MICHEL PLAYS JAZZ - NEW VIDEOS - NEW SCORES AND NEW SONG BOOK - A SPECIAL PAGE ON THE CLARINET - NEW MUSIC DVD OF JEAN-CHRISTIAN MICHEL - PLEASE CHECK OUT THE LATEST NEWS ! In a period when the distribution of commercial music is monopolised by four or five firms, the Internet still retains its marvelous power of information in its young tradition of freedom. Indeed the multinationals of the recording industry sterilize creation by imposing their artists on a public a little lobotomised by mindlessness which every state sponsors through the media assuming its duty as a general anesthetic. By agreements with these same media, these venal consortiums thus deprive people of discovering other forms of expression. That which is true for music is just as true for the other arts (litterature, painting, cinema etc.) : To fill their pockets, 21st century traders suppress qualitative creation. That is why the Web is one of the last areas in which it is still possible to distribute original material. And fortunately the Internet is difficult to enslave and is growing exponentially ! Requiem - Fugue en Sol Mineur - My Soul Longeth To Depart In Peace - Unto The I Cry, O Lord Jesus - Choral N° 45 bwv 709 - Missa Sine Nomine - Oratorio de Noel - Miserere - Prelude en La Mineur "Anna" - Kyriale - Adagio et Fugue en Fa Majeur. 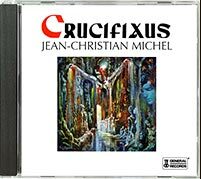 Les chemins de Repentance (11'10) - Suite en la mineur - La dimension des morts - JQM 1 & 2 -Incantation des Vivants - La Transfiguration : a great recording between classical and jazz ! 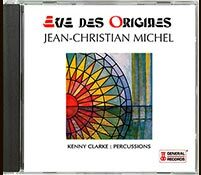 With the CHOIRS OF SAINT EUSTACHE AND Kenny CLARKE, drums ; Monique THUS, orgue ; Pierre LABADIE, cello ; Miguel JAÈN classical guitar ; Guy PEDERSEN, double bass. With Kenny CLARKE, drums ; Monique THUS, orgue ; Pierre LABADIE, cello ; Guy PEDERSEN, double bass. Port- Maria - Le Voleur de Sommeil - L'Infiltration Céleste - Le Voleur de Sommeil - Trille et fugue en ré mineur - La Corde de Larmes - L'Aube des Temps - Choral les Oxydes de Lumière - Les Paraboles de l'Espace - La Lagune insondable. - With Kenny CLARKE, drums ; Monique THUS, orgue ; Jean-Pierre COULEAU, piano. A single track of concert : Les paraboles de l’espace - Eve des origines - La forge d’hallucinations - Vision d’Ezéchiel - L’offrande originelle - Les ricochets de lumière - Carillon - Le cœur des étoiles - L’horloge perpétuelle - Choral de la Keyrié - L' équation de l’infini - La lagune insondable. Aria from D suite, BWV 1068 - Sonate IV - Choral BWV 515 - Unto Thee I cry O Lord Jesus, BWV 639 - St Matthaus Passion, Choral BWV 244 - Choral BWV 737 - Choral : In dich hab ich gehoffnet, BWV 640 - Herr Jesu Christ, dich zu uns wend, bwv 709 - Trio in C minor, BWV 585 - Jésus bleibet meine freude, Cantata BWV 147 - Concerto in D minor BWV 1043 - My Soul longueth to depart in peace, BWV 727 (new arrangement) - Cantata BWV 144. - MAGIC SOUNDS ! Johann-Sebastian BACH's works exclusively created with computers and synthesizers, by Jean-Christian MICHEL. Johann-Sebastian BACH's works chosen and arranged by JEAN-CHRISTIAN MICHEL, with the magical sounds of new synthesizers ! 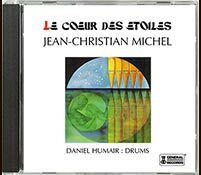 Jean-Christian MICHEL has been perfecting these mavellous recordings in his studio. Johann-Sebastian BACH's works with spatial sounds ! Don't forget to visit the page "Discs &CD" to consult the complete discography ! 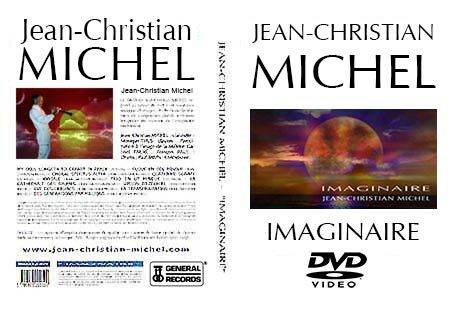 DVD - JEAN-CHRISTIAN MICHEL "IMAGINAIRE"
Jean-Christian MICHEL has just finished the realization of its MUSIC DVD. "IMAGINAIRE", as is the title, will you do travelling to dreamland ! the boundaries of the sky between planets and galaxies ! Read also the new interview of JEAN-CHRISTIAN MICHEL about all these novelties!  FREE MP3 - Listen some MP3 samples on "CDs-LPs" page.  FREE MIDI FILES - Download free MIDI files. 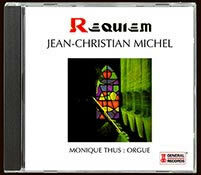 - Jean-Christian MICHEL offers free MIDI files of his transcriptions for the clarinet. 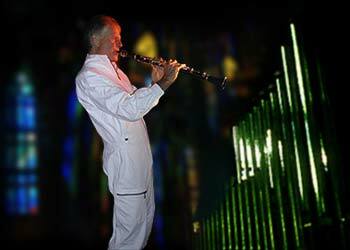 Please visit the pages about the "Clarinet".  NEW ! New free MIDI files of Johann Sebastian BACH's transcriptions for the clarinet by Jean-Christian MICHEL : "Aria" and "Jesus bleibet meine freude". 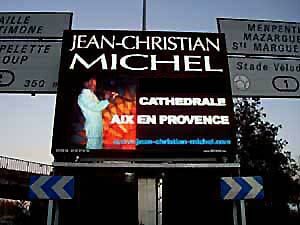 Jean-Christian MICHEL has performed on the main french and european TV channels : TF1, France2, France 3, RMC, WDR, Deutsche Rundfunk, Swedish TV etc. Pages on the clarinet being completely rearranged, constituting consequently a true complete "website " on the instrument. You will find pages and very well researched information on there : Description of the clarinet. History of the clarinet. The various sorts of clarinets. The clarinet in different music styles. The clarinet for the compositors of Classical music. The clarinet for the musicians of Jazz. 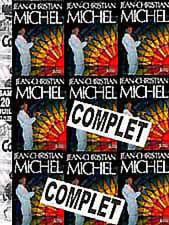 The clarinet for Jean-Christian MICHEL.CD and Scores of clarinet. Famous clarinettists - The Clarinettist. Manufacture of the clarinet. The art of interpretation on the clarinet. Free downloading of MIDI files for clarinet. MP3 of clarinet. Pathologies induced by the practice of the clarinet. An unpublished text by Jean-Christian MICHEL a must read if you like music. Music, Clarinet and Freedom : Music, a space of freedom for emotion and dream... Jean-Christian MICHEL reveals his comprehension of music, tries to explain the "biological" genesis of music. He insists on the necessity of magic in music and asks questions : Is there a great and an unimportant music? Is music reserved for an inner circle ? Does it contact all people? What is the daily responsibility of mankind before his destiny ? JOHANN-SEBASTIAN BACH - ARANJUEZ's CONCERTO - JAZZ & CLASSICAL MUSIC - MUSIC - SACRED MUSIC - ORGAN & SYNTHSIZER. • JEAN CHRISTIAN MICHEL IN THE HIMALAYAS. Read the fantastic account of the "5th French expedition to the Himalayas" led by Yannick SEIGNEUR, when Jean-Christian MICHEL forsook the clarinet to become the group's doctor and where he climbed to a 7000m summit. 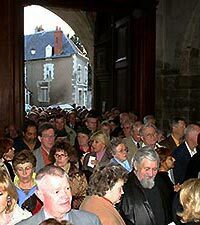 • THE UNFORGETTABLE CHURCH CONCERT AT ST ROCH PARIS. 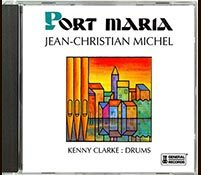 Rediscover the emotions surrounding Jean-Christian MICHEL's beginnings, of his unforgettable church concertwith the american drummer Kenny Clarke at St Roch in Paris and of the sociological phenomenon which his music has generated.